We just learned about the Specialized Mucosa. 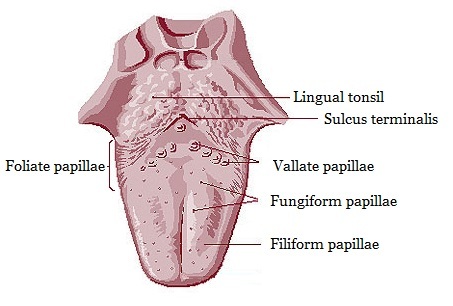 Another part of the mouth is the Lingual Papillae. These are the little bumps on the top of your tongue that are where your taste buds are. The way the tongue has these little bumps helps your tongue be able to taste all sorts of different flavors.